As Zimbabwe heads for the polls in 2018, the ruling ZANU-PF is divided and facing a bitter succession battle. 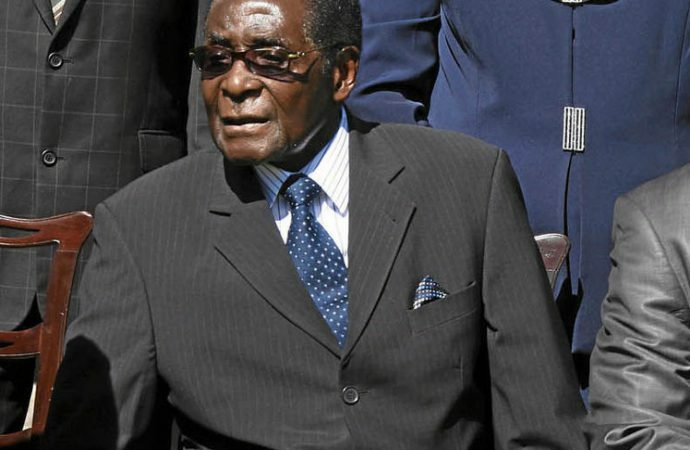 The party has endorsed incumbent nonagenarian Robert Mugabe as its 2018 presidential candidate. Yet with no clear successor and the president’s health failing, Zimbabwe could stumble into a power vacuum with chaotic consequences. 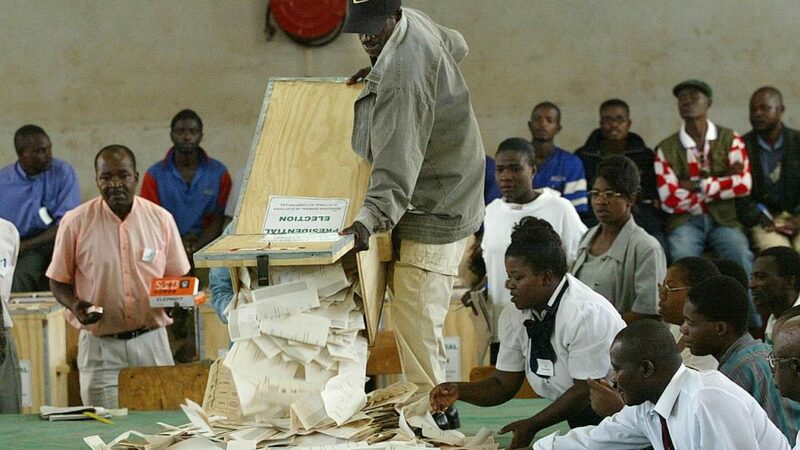 No single opposition party is capable of commanding sufficient votes to oust ZANU-PF. As Mugabe’s party has vowed not to allow regime change, elections will likely launch the country into a protracted armed conflict. A Government of National Unity (GNU) is a viable preventive measure, but an opposition coalition is needed to achieve it. A recent survey by Afrobarometer – a non-partisan Pan-African research network – has revealed that Southern African opposition parties enjoy the lowest levels of popular trust. Opposition parties are not seen as viable alternative governments, with only 37 per cent of Zimbabweans believing that an opposition party could do a better job than ZANU-PF. Instead, the majority of Zimbabweans believe that opposition parties should work with the government to contribute to the country’s development. Zimbabwe’s opposition political parties are each led by individuals with aspirations for the Presidency. Most party leaders are men and each one believe themselves the best suited to usher in a post-ZANU-PF Zimbabwe. Yet no single party can pull in enough votes to oust ZANU-PF. Given their low levels of popular trust, opposition parties cannot afford a fractured support base. Former Vice President Joice Mujuru recently changed her opposition party’s name to the National People’s Party (previously ZimPF) after expelling several senior members. She was ousted from ZANU-PF in April 2014, but atrocities committed by the regime have hurt her image. She is attempting to rebrand herself, both internationally and domestically, and has even granted interviews to British media. This year, the EU lifted sanctions against her because she is no longer affiliated with ZANU-PF. 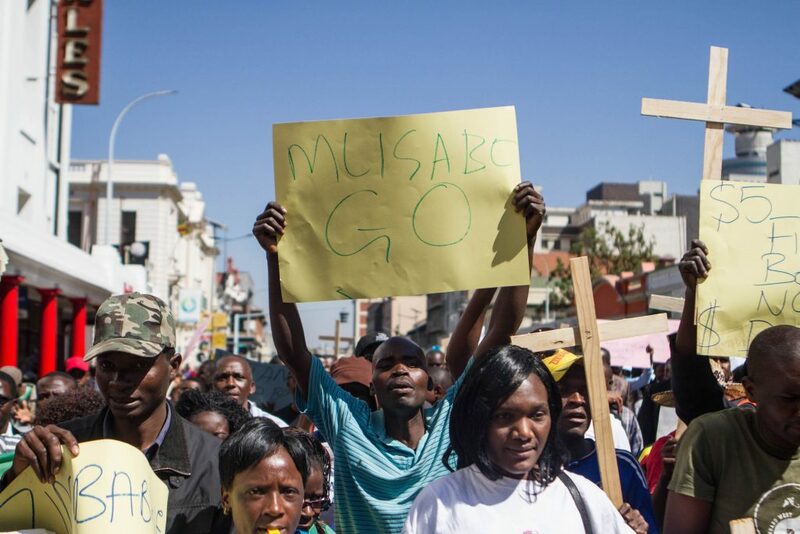 Despite these efforts, Mujuru’s campaign is constantly derailed by questions about her long career with ZANU-PF. Mujuru’s party is engaged in coalition talks with the other main opposition party, the MDC-T. 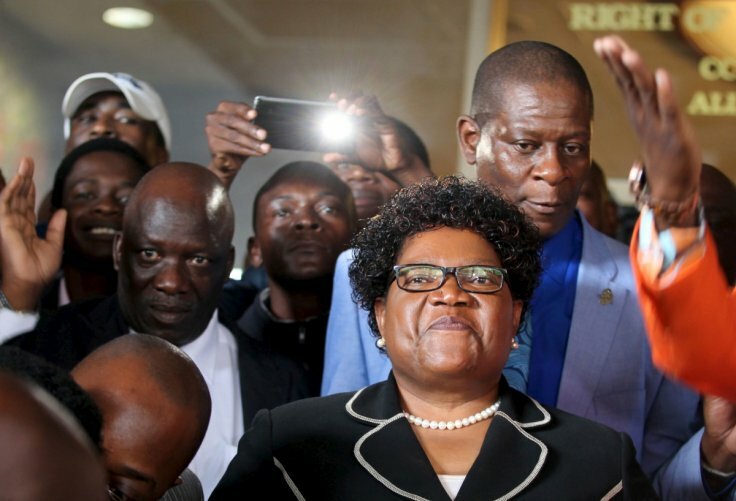 In a recent BBC interview, Mujuru said she would support anyone chosen to lead an opposition coalition and revealed that parties involved in the talks are in the process of drafting a Memorandum of Understanding. Leader of MDC-T, Morgan Tsvangirai, is regarded as the obvious choice to lead the coalition given his party’s larger support base. However, Zimbabweans increasingly regard Tsvangirai with suspicion and as someone who feels entitled to the presidency because he has been the main opposition leader since 1999. An opposition coalition can potentially increase Zimbabweans’ confidence in opposition parties. However, the formation of a coalition is hindered not only by Mujuru and Tsvangirai’s marred reputations but also by minor parties littering Zimbabwe’s political landscape. The fringe Build Zimbabwe Alliance says it is not opposed to an opposition coalition, but its leadership has its sights on the presidency. In a recent attack against Tsvangirai, Alliance leader Dr Noah Manyika stated that the length of time “spent in the trenches of opposition politics” does not confer anyone a special ability to govern. WILL ACTION SPEAK LOUDER THAN WORDS? Mujuru has dismissed the need to outline a party platform to inform people’s vote. Only after securing the Presidency will she clarify policies and receive input from Zimbabweans on how best to address their needs. MDC-T dances to the same tune; economic recovery is a key concern for its leadership but beyond wanting to see Mugabe gone, the party’s campaign is not driven by clear policy. Some of the minor parties like the Build Zimbabwe Alliance are attempting to run an issue-based campaign. The Alliance has even committed itself to cutting the number of ministries to 14, reducing the size of the legislature, and eliminating all deputy minister positions. This is the closest any party in Zimbabwe has gotten to being policy-driven. However, without popular support or championing key policies, opposition parties will need to think strategically and leverage ZANU-PF’s popularity in pursuit of a government of national unity. An opposition coalition is necessary for a GNU. To achieve that, opposition parties would need to renounce egoistic politics, form a solid front and begin GNU negotiations with ZANU-PF. Moreover, the ruling party needs a successor capable of uniting ZANU-PF and committed to a GNU. A successful GNU, utilising the expertise of the various party members, could spark socio-economic recovery. Unlike the 2009 GNU, which formed in the aftermath of widespread election-related violence, there is time to win public support for a power-sharing arrangement in 2018. With increased focus on continental peace and security from 2017 onwards, the African Union (AU) and Southern African Development Community (SADC) will need to declare support for a GNU and apply pressure for the formation an opposition coalition. A mediation taskforce could be established to kick-start negotiations between opposition parties and ZANU-PF. Additionally, the AU and SADC could establish a long-term observer and public consultation mission to observe and report on progress towards a GNU. The mission, in partnership with opposition parties and the government, may hold public consultations to determine the future policies and agenda of the GNU. A GNU that allows a diverse range of voices to shape national policy through ongoing public consultation can lead Zimbabwe on a path to both economic and political recovery. Inclusivity and decentralised decision-making would curb the excesses of the current regime and opposition ambitions. Yet for now, these prospects remain dim as opposition bickering continues and regional organisations remain silent. These failures cast dark clouds over Zimbabwe’s future.